Iraqi security forces have been commissioned by Prime Minister Haydar al-Abadi to collect data on the persecution of Christians in the nation. Sources told news outlet Agenzia Fides that a committee has been set up by the prime minister that will collect this data in an attempt to curb the recent violence against Christians in the region. These officials plan to work alongside the Chaldean Catholic Church in Iraq to collect the information and have already met with its Patriarch Louis Raphael I. They will also take a census of the homes and properties illegally seized from believers. Mohammed al-Rubai, a member of Baghdad's municipal council, revealed during an interview with Al-ada Iraqi TV station back in June that almost 70 percent of Baghdad's Christians' homes have been illegally seized. "Almost 70 percent of Baghdad's Christian homes have been illegally seized. These houses belonged to Christians who fled from Baghdad, seeking refuge from violent attacks targeting them and their homes. The title deed documents have been falsified and the new title deeds have been lodged with the real estate registry," said al-Rubai. These properties include homes, churches and monasteries that have been illegally distributed to other Iraqis, making it possible for the original and new owners to possess legally registered title deeds to the same property, according to al-Rubai. Tens of thousands of Iraqi Christians were forced to flee from their homes to escape the terror of radical Muslim groups such as IS. Some have fled to Syria, others to Jordan to save their families from being kidnapped, raped, tortured or killed. "The Church is unable to offer and guarantee the fundamental security that its members need to thrive. It is no secret that hatred of minorities has intensified in certain quarters over the past few years. It is difficult to understand this hate. We are hated because we persist in wanting to exist as Christians. In other words, we are hated because we persist in demanding a basic human right," said His Exc. Mgr. Bashar Matti Warda, archbishop of Erbil, as he described the persecution of Christians to Fides News Agency earlier this month. The Rev. 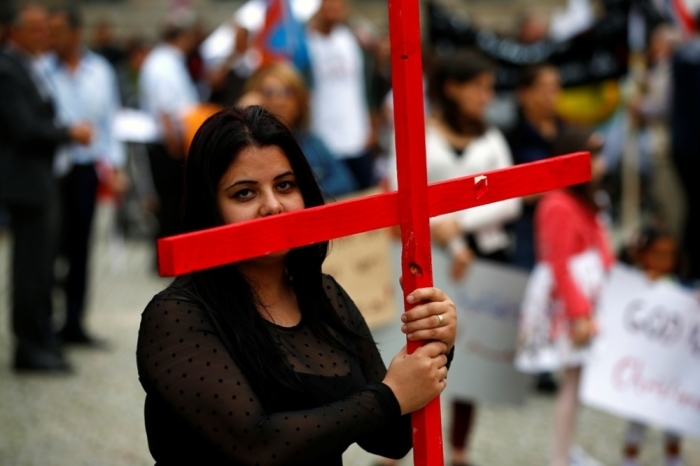 Canon Andrew White, an Anglican pastor who's known as the "Vicar of Baghdad" said in Junethat the persecution of Christians by IS in Iraq has passed all expectations of extreme brutality. "It is happening now in our midst and the persecution of Christians is like we'd never expect would happen," said White to the audience at the Episcopal Cathedral Church of St. Mark in Salt Lake City, according to Deseret News. "All I know is we are not (ceasing) to love Jesus. We are still serving him."